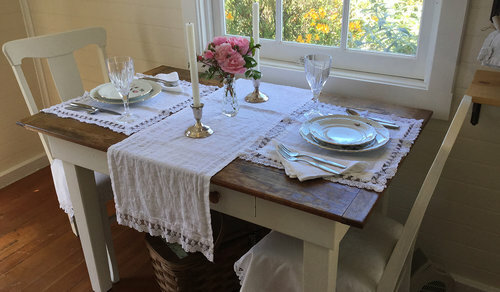 Fine Italian made table linens and Venetian pottery sold exclusively in the village of Mendocino on the Northern California coast by My Chic Farmhouse. We also carry many other home decor items including bridal gifts. Come by and see us! Stop by for our latest additions. Placemats and napkins are made in Italy of 100% linen by luxury linen company Chez Moi. They are sold in sets of two placemats and two napkins. Runners are made by both Chez Moi and Tessitura Toscana Telerie. Rectangular, round and square tablecloths available in cotton or linen. They are made in Italy by renowned linen company Tessitura Toscana Telerie. Beautiful pottery with pansies and violets by ceramicist Margherita Rossetto of Venice, Italy. Going to a wedding, on vacation or out to dinner? 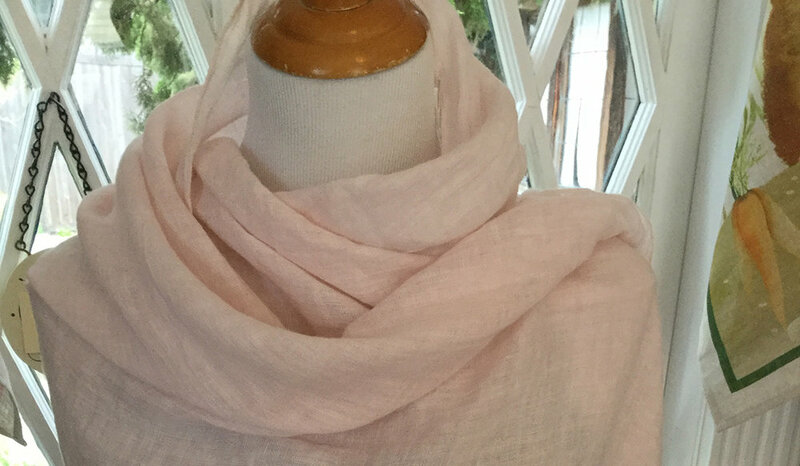 Our Chez Moi shawls are made of linen and lace and are the perfect wrap. They are available in many colors. Why look ordinary when you can look extraordinary? Other styles of shawls are also available.